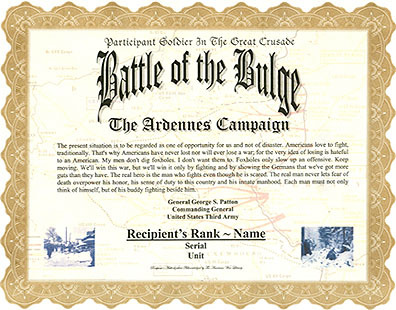 An unaltered photocopy of your DD-214, WD AGO, NAVPERS, NG or other military issued document clearly displaying the veteran's participation in the Battle of the Bulge (Ardennes) Campaign. Battle of the Ardennes (Dec. 16, 1944-Jan. 16, 1945) was the last major German offensive on the Western Front during World War II; an unsuccessful attempt to push the Allies back from German home territory. The name Battle of the Bulge was originated Winston Churchill. 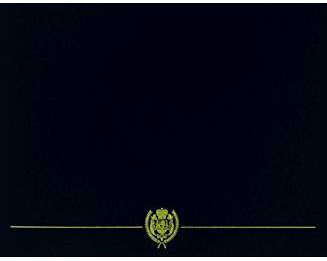 There is no medal or ribbon designated to this campaign. The Battle of the Bulge is represented by a bronze campaign star on the European, African, Middle Eastern Campaign medal.